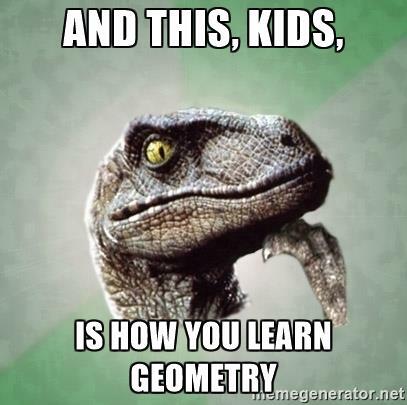 Today for Geometry you're going to work through these modules by clicking the links. There are videos, practice, assessments and games. Take your time as your work through each module. Start by watching this Study Jams on Classifying Triangles. Begin with the "Step by Step". When you're done you can do the "Test Yourself" for more practice. Click here to begin. This is your practice module. Play the game to practice classifying triangles. Feel free to use the notes in your math notebook. Once you feel good about your understanding of classifying triangles you can move on to module 3. Click here to begin. Log into Pearson and complete the Exit Ticket called (TRIANGLE) Exit Ticket. If you score 3/3 correct on this assessment you may move on to Module 4. If you do not score 3/3 correct you need to complete the (TRIANGLE) Practice Buddy on Pearson before moving on. First things first, come to the circle table and get an anchor chart to glue into your math notebook. This will help you moving forward. Log into Pearson and complete the Exit Ticket called (QUAD) Exit Ticket. If you score 3/3 correct on this assessment you may move on to "More Games" section. If you do not score 3/3 correct you need to complete the (QUADS) Practice Buddy on Pearson before moving on.